Inspired by Veterans Day, here is what I know about the veterans of the American military in my family tree. I use the term “veterans” loosely, instead of getting into a debate over who officially is or isn’t supposed to be recognized on the federal holiday. I’m regarding this as a family history piece inspired by Veterans Day, not praise for everything my ancestors did or an official Veterans Day roster. In other words, I’m including Confederate veterans because they’re in the family tree, even though there are debates about whether those who took up arms against the US should be honored on Veterans Day. This list also includes slave owners, a deserter, and a convicted killer. I take a “warts and all” approach to family history, finding what it was instead of pretending it was something else. Mostly, I’m focusing on my direct ancestors and their siblings. I’ve included a few others. However, I’ve left out a lot of Nth cousins M times removed, to keep this list from getting really big. And because it’d be a lot more work. I have my limits. For privacy reasons, I’m omitting the birth years and photos of living relatives. I’m including birth and death years and a few photos only for the deceased veterans. My niece Charlotte Brock (living) served in Iraq as a Marine officer. She was interviewed on NPR because of the essay she had contributed to the book Powder: Writing by Women in Ranks, from Vietnam to Iraq. My cousin Pat Sharpe (living) served as a Marine in Vietnam. He received a Purple Heart. Frank Giddings (1945-2009), ex-husband of my cousin Maureen, was also a Vietnam vet. My recollection is that he was in the Army. My father, Earl Becker (1930-2005), was a Marine during the Korean War. He received a National Defense Medal for enlisting during a time of war. Dad never got shipped out, and stayed stateside the whole time. He served in the Marine Corps Reserve for several years after his regular service. My uncle Herman Becker (living) served in the Army, and I understand he did go to Korea. My uncle Bob Becker (1927-2009) was a U.S. Navy veteran. He enlisted in 1945, after WWII had ended. He wasn’t old enough to have joined up any earlier. He left the service three years later, which was before the Korean War started. He spent at least some of his service stationed in Hawaii. I’ll count Dad as a WWII vet in a sense. As a teenager, he was a volunteer in the Army’s Aircraft Warning Service. These civilian volunteers were stationed at posts along the American coastlines. They were trained to identify enemy aircraft. This service existed because of concerns that long-range bombers might attack U.S. soil. The AWS volunteers were expected to be at their posts regardless of adverse weather conditions. The service was closed down shortly before the D-Day invasion, in order to divert full resources to that. My late father-in-law Henri Soudée (1906-1996) was a veteran of the French military, not the US military, but I’m including him here because he was part of the French diplomatic team that came to the US during the war as supporters of Charles de Gaulle, not Vichy France. That’s how he wound up living in the US and raising a family here, which is how I met my wife. Mom’s brothers-in-law (and my uncles) Bill Schulz (living) and Johnny Sharpe (1921-1984) were both World War II veterans. Uncle Bill was in the glider service. Uncle Johnny was a sailor on the USS Alabama, among other ships. Uncle Johnny and Aunt Peggy (Mom’s sister) met at a USO dance. Mom’s cousin Billy Shepherd (1924-1945) was a sailor, and a war casualty. He was on a destroyer, the USS Evans, for Operation Iceberg, the Battle of Okinawa. The Evans and another destroyer were escorting landing craft at Okinawa when they were swarmed by Japanese aircraft. Billy was among those killed. The crew of the Evans was awarded a Presidential Unit Citation and Billy was awarded a Purple Heart. Mom was 8 years old when they got the news that her cousin Billy had been killed. Joseph M. Miller (1921-1996) was another of Mom’s cousins. He served in the Coast Guard during the war. That’s all I know. William Charles O’Connell (1919-1992) was yet another of Mom’s many cousins. He fought for the Army in Italy and North Africa. My maternal grandfather, William Miller (1891-1943), was in the Army. He was stationed at Camp Meade (now Fort Meade, Maryland). A family story says that when he heard his unit was going to be shipped out, he walked the 25 miles from Camp Meade to his fiancee’s (my future grandmother’s) house in Washington DC to let her know. However, the war ended before his unit shipped out, so he never saw service “over there.” I never met him, but from all the stories, I think I would have liked him. I still remember my grandmother Nora, his wife, from when I was little. Will’s brothers Edward Miller (1889-1931) and Joe Miller (1891-1973) registered for the draft on the same day as Will. I assume his brother Alfred (1895-1976) also registered, but I haven’t found any record of it. Edward’s draft registration card noted that he had to take care of his mother and his “crippled sister” (Aileen). I believe he was exempted from duty. I don’t know what sort of service Edward and Joe saw. William James “Stoney” O’Connell (1887-1938) was Mom’s first cousin, twice removed. While Stoney was in France, he was the victim of a gas attack. He survived, but came back unwell. It was the eventual cause of his death. Great grand uncle Walter Becker (1892-1971) was in the 68th Artillery. I’ll mention Sister Brendan (Mary O’Connor, 1863-1921). Maybe including her is a bit of a stretch for my list here today, because she wasn’t in the military and she’s a somewhat distant cousin. However, there’s a story here, and besides, I don’t know of any other family veterans from the Spanish-American War. Mary was my second cousin, three times removed. She became a nun (as Sister Brendan) with the Sisters of the Holy Cross. She was also a nurse at Mount Carmel Hospital in Columbus, Ohio. In 1898, the governor of Ohio, Asa Bushnell, asked Mount Carmel for help bringing Ohio’s sick and injured soldiers back from the Puerto Rican Campaign. Sister Brendan and one other nun went to Tampa, Florida, by train and then to Puerto Rico by ship. After a couple of months, they returned with 1300 troops, plus other doctors and nurses. She was directly supporting the military, so I’m including her. Miles Carter (1840-1867) was my second great grand uncle, on Dad’s side. He had been a captain in the 3rd Virginia Cavalry during the Civil War, fighting for the Confederacy, but he made the transition to the U.S. Army after the war. Veterans of the American Civil War – U.S.
All of my ancestors who were Civil War veterans, both North and South, were on Dad’s side of the family. Those who fought for the North were on his father’s side. Those who fought for the South were on his mother’s side. There’s no reason to think the two branches ever met during the war, in battle or otherwise. Dad’s parents were the connection. His father’s family had been in Illinois and Indiana for generations. His mother’s family had been in Virginia since colonial days. The connection between the two families didn’t happen until Dad’s parents got married in 1925. Three of John’s brothers – my third great grand uncles – also served. Two of them survived the war. Samuel Harmon (1831-1912) was identified as a Civil War veteran of the Union Army in one record, but I haven’t found any other particulars about his service. Archer Harmon (1842-1863), was in the 93rd Indiana Infantry. He was apparently at the Siege of Vicksburg, among other actions. He died a few months after the siege, shortly before his 21st birthday, in Missouri, but I don’t know what the story was. Michael Harmon (1844-1927), the fourth Harmon brother to fight, was in the 3rd Indiana Cavalry. A few more of Dad’s ancestors might have fought for the North, but I’m leaving them out of this list for lack of evidence. My second great grandfather, Abner Walker (1824-1894), enlisted in 1863 at the age of about 39, two weeks after the Emancipation Proclamation. The war had already been going on for almost two years, so one might speculate that the Emancipation Proclamation had something to do with his decision to enlist. He was a slave owner, like so many of my Virginia ancestors. At the time, many southerners worried that the Emancipation Proclamation would lead to a slave rebellion or race war, so maybe that’s what drove him to join up. His unit, the 53rd Virginia Infantry, saw action at Chancellorsville and Gettysburg, but Abner wasn’t at those battles. He spent the war in Richmond, alternating between hospital stays and detached service at the Ordnance Department. The diagnosis I found in one record was “rheumatism,” so it seems likely he was deemed unfit for combat duty. My third great grandfather, Overton G. Slater (1828-about 1875), served in Tomlin’s Battalion in the Virginia infantry. He was another slave-owner. John Henry Blayton (1827-1896) was my 3rd great grand uncle. He served in the 3rd Virginia Cavalry Regiment. A later newspaper account said he was reputed to be fearless in battle. Before and even during the early part of the war, before he enlisted, he raised a family with an ex-slave and made sure the kids were educated, which was unusual at the time for mixed-race children. Mixed-race marriages weren’t legal in Virginia until 1967, so they weren’t legally married. Years later, he got a legal marriage to a young white woman, but eventually he shot and killed her for having an affair. He took the insanity defense and spent his final years in a mental institution. Another third great grand uncle, William F. Garrett (1823-? ), was in the 1st Virginia Artillery. At the end of the war, he was held as a prisoner at Point Lookout in southern Maryland. Point Lookout had no barracks for the prisoners. It was five feet above sea level, so it was subject to flooding. It housed twice as many prisoners as it was designed for, which led to disease and hunger. Many of the guards were from “colored regiments,” which led to tensions between the guards and the prisoners. I don’t know when William died, but he at least survived Point Lookout. He was released after two months, as prisoners swore their allegiance oaths to the U.S. and went home. My third great grandfather Pinkethman (“Pink”) Garrett had three sons in the James City Artillery in Virginia: John Garrett (1832-1899), Richard Minor Garrett (1834-1900), and Pinkethman Garrett Jr. (1845-1905). Pink Jr. was listed as a deserter in early 1865, not long before the end of the war. I don’t have any info on why he deserted or what happened as a result. At that stage of the war, many Confederate soldiers realized the war was almost over, so many of them abandoned their units to return home. Pink Sr.’s youngest son, my great great grandfather Benjamin Franklin Garrett, was too young to serve in the Civil War. My 6th great grandfather John Goddin had four wives (not at the same time! ), and 28-32 children, according to various sources. His son John Goddin (1804-1864) was my half 5th-great grand uncle. John Jr. wasn’t a Civil War veteran himself, but he had a role to play. He owned Goddin’s Tavern outside of Richmond for about 20 years. Virginia lawmakers often stayed there when visiting the state capital, because it was cheaper than staying in the middle of Richmond. When the Civil War started, John sold the place to a Catholic order, apparently the Sisters of Charity of Cincinnati. That order sent their nuns as nurses to various locales in the North and the South. When the hospital first opened for business, they ran this ad in the Richmond Dispatch: “INFIRMARY OF ST. FRANCIS DE SALES. BROOKE AVENUE, RICHMOND, VA. – Conducted by the SISTERS OF CHARITY. Patients of all denominations, not having small-pox or any other contagious disease, are received. Any physician may send his patients to the infirmary and attend them. White persons, in private rooms, pay from $7 to $12 per week, and in wards $6. Colored persons $5 per week.” It was variously known as St. Francis, St. Francis de Sales, the Goddin’s Tavern Hospital, the Catholic Hospital, and the Brook Hospital. It served as a hospital for the duration of the war. Another of John’s sons, Norman Goddin (1828-1892), was also my half 5th-great grand uncle. He was a Methodist minister and a physician. He joined up very early in the war, and became the captain of G Company, 5th North Carolina Infantry. That lasted about a month, and then he resigned his commission when his wife became gravely ill. She died a few months later. I have no info saying whether he did or didn’t return to military service after that. John Blayton (1780s-1840s) was my 4th great grandfather. He and his brother Haley Blayton (?-?) served in the 52nd Virginia Militia. William Walker (1791-1874), my 3rd great grand uncle, was in a Virginia artillery regiment. 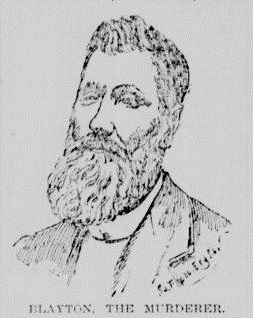 He wound up moving to Kentucky, where he founded Walker’s Chapel Methodist Church. He was a slave owner, but a family history says that when the Civil War broke out, he told his slaves to “go fight for their freedom.” When they returned from the war, he gave them land to live on. John Goddin (1738-1830), my 6th great grandfather mentioned above, served in the Virginia Militia during the Revolution. A couple of histories say he was a lieutenant in the militia and participated in the Siege of Yorktown. A 1923 family history says that when Cornwallis surrendered at the end of that siege, John served hot coffee to General Washington and General Lafayette, among others. He kept the coffee pot as a souvenir. William Blayton (1757-1800), my 5th great grandfather and the father of John and Haley Blayton mentioned above, served in the Virginia Militia. That’s my list of veterans, in one sense or another. A year ago today, I was in the hospital because of severe vertigo and hearing loss. My Ménière’s Disease had gone from unilateral (one side only) to bilateral (both sides). An episode of Call the Midwife included a character suffering from agoraphobia because, as the fictional doctor explained, she had Ménière’s Disease. The character took the view that it was a normal effect. I’ve never heard of agoraphobia being associated with Ménière’s Disease in any other context. But I can see why it could be. One of the effects of Ménière’s Disease is fluctuating hearing loss and tinnitus, which the (non-fictional) doctors tell me will probably stabilize into permanent hearing loss and tinnitus of some degree. That already happened to my right ear several years ago, leaving it mostly useless. My left ear is the fluctuating one now, with effects anywhere from mild to severe hearing loss and tinnitus on that side. However bad they are now, they could turn better or worse in a few hours or a few days. At my worst times, even a one-on-one conversation in a quiet place is difficult, and the hearing aids don’t help. Turning up the volume doesn’t turn up the clarity. Another effect of Ménière’s Disease is intermittent vertigo. Just like the hearing loss and tinnitus, whatever state it’s in now could last for a few hours or a few days, and then it’ll change unpredictably. At the best times, I have no vertigo (woo-hoo!). When it’s relatively mild, I can walk about, but sudden head turns or direction changes can make things worse. Reading up close can make things worse. I don’t drive in this state. I minimize computer usage in this state. When the vertigo is more severe, walking becomes difficult. The room swims. Reading becomes all but impossible, because my eyes can’t lock onto one spot. I don’t dare drive like that. All I can do is lie down until it passes. After it passes, I’m usually wiped out, and I need to sleep. Fortunately, the doctors predict that the vertigo will probably taper off, eventually. As a result of these effects, all my plans are tentative, because I won’t know until a few hours ahead of time whether I’ll be able to walk, drive, or hear. It makes me reluctant to go far from home. I might need to cancel plans at the last minute, or leave early if I do show up. Agoraphobia? No, not quite that. But going out into the world is a bigger challenge than it used to be. One other effect of Ménière’s is that it can play havoc with your stress levels and attitude. It seems that the research hasn’t pinned down how much of this is a direct physiological effect and how much of it is the constant uncertainty about what each day will be like. For me, the best cure for stress and attitude is spending time with people I like. Because of the hearing issues, it needs to be in a quiet place with no more than a few people. We can talk about whatever we’d normally talk about and do whatever we’d normally do (as long as I’m still able to do it). Being in the company of people I like works wonders in draining off the stress. There’s the unfortunate irony, though. Ménière’s gives me a greater need to spend time with people I like, while also making it more difficult to do just that. That episode of Call the Midwife had an unspecified magic pill that made the Ménière’s patient’s problems go away quickly. No such luck in the real world, but at least I’m not agoraphobic. As a curiosity or with claimed mystical significance, people have noted that July 2016 has five Fridays, five Saturdays, and five Sundays. Various claims have asserted that this is extremely rare or extremely common. It turns out there’s an average of one such combination per year. Most years have one of these combinations per year. Some have none, and the rest have two. The Gregorian Calendar has 14 possible calendars: a common year starting on each day of the week, and a leap year starting on each day of the week. Let’s call them A through N: A starts on Sunday in a common year, B on Monday in a common year, and so on through N, starting on Saturday in a leap year. The Gregorian Calendar repeats on a 400-year cycle: a leap year in every year divisible by 4, except for century years that aren’t divisible by 400. In a 400-year cycle, there are 97 leap years, which means there are 400*365 + 97 = 146,907 days. That’s also an exact multiple of 7, which means that every 400-year cycle starts on the same weekday. January 1, 2001, was a Monday (Calendar B), so January 1, 2401, will also be a Monday (Calendar B). Whatever pattern we find, it will repeat every 400 years. A month with five Fridays, Saturdays, and Sundays can happen only in a 31-day month that starts on a Friday. If the month starts on Sunday through Thursday, there won’t be five Sundays. If it starts on Saturday, there won’t be five Fridays. If the month starts on a Friday but it doesn’t have 31 days, there won’t be five Sundays. In other words, in any given year, there might be zero, one, or two months that have five Fridays, five Saturdays, and five Sundays. How often does each of these calendars show up? Calendars A, B, D, F, and G come up 43 times each in a 400-year cycle. Calendars C and E, 44 times each. Calendars H and M, 15 times. I, L, and N, 13 times. J and K, 14 times. Calendars B and H have no 5-Friday/Saturday/Sunday combos, and they make up 58 years in a 400-year cycle. Calendars F and M have two in the same year. They also make up 58 years. The remaining 284 years have one combo each. In other words, in 400 years, there’ll be 400 months that include this particular combination. That’s an average of one per year, but 14.5% of the time, there’ll be two in the same year, and 14.5% of the time, there’ll be none in a given year. The verdict: Months with five Fridays, five Saturdays, and five Sundays are pretty common, averaging once per year. My great-great-grand uncle, Charles Albert Becker (1848-1926), was born in Germany, but he probably had no recollection of it. At the age of two, his parents, his four older siblings, and his mother’s half-sister sailed across the Atlantic to the US. His mother didn’t survive the Atlantic crossing. I imagine he had little or no recollection of her. The family soon found themselves living in Illinois, along with lots of other German immigrants. They became farmers. They were Catholics. In 1872, at the age of 24, Charles decided to head off to the wilds of Kansas to hunt buffalo. He relocated almost 600 miles westward to Logan, Kansas, which had been established only two years earlier. Even now, Logan has a population of less than 600. This was about when the song “Home on the Range” was written, in the next county over from Logan. The song became an anthem for people like Charles, who had headed west to build new lives. It eventually became the state song of Kansas. The Little House on the Prairie series (published 1932-1943) was set in Kansas at about this same time. Charles didn’t build a little house on the prairie, however. He built a dugout on the bank of Cactus Creek a couple of miles outside of Logan. This hole in the ground would be his home for years to come. 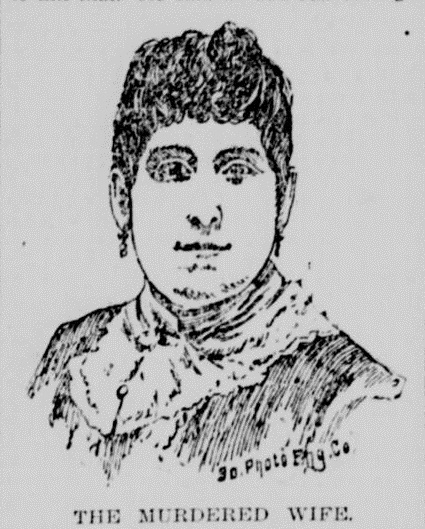 In 1878, after six years of living in his dugout, he got married to Emily (“Emma”) Elizabeth Walton. A probate judge performed the ceremony. At some later time, a Catholic missionary priest was passing through, so Charles and Emma got married in a Catholic ceremony. The first-ever Catholic Mass in Logan was at the Becker dugout. Charles and Emma continued to live in the dugout after the wedding. Their first child, a daughter, was born nine months later. They’d have three more daughters while living in their dugout. Charles continued to hunt buffalo, and he also trapped smaller game for food and hides. He did some farming, too. 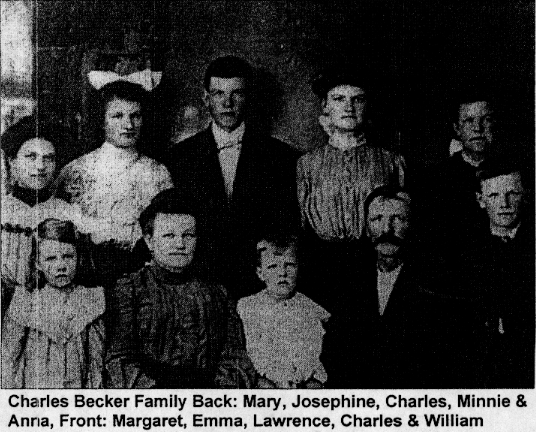 In 1883, the Beckers had fallen on hard times, along with everyone in the area. Food and work were scarce. The aid arriving by train from the eastern states wasn’t enough, apparently. Charles, Emma, and their four daughters left their dugout for Washington County, Kansas. I’ve got no info on what they did there, but apparently they were successful. They returned to Logan in 1885 and began building a house, which was completed the following year. They started having kids again, eventually reaching nine children, one of whom lived to the age of 100.